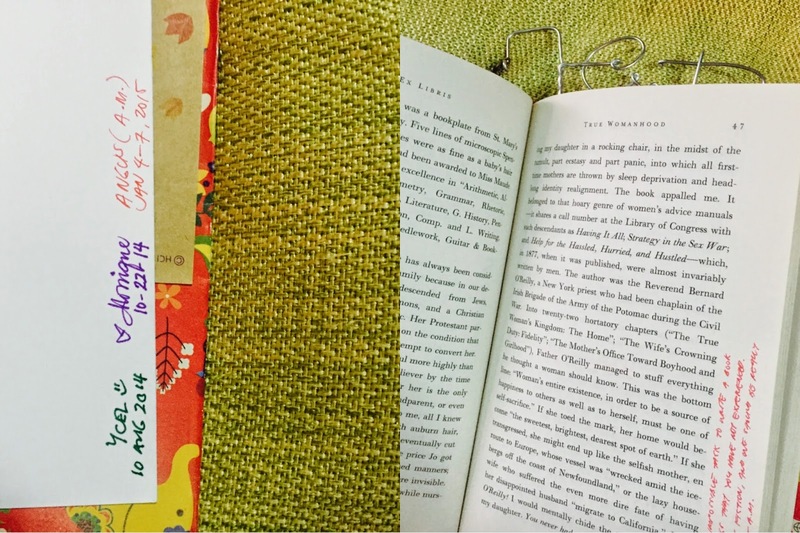 Have you ever heard of a Traveling Book? I am a member of The Filipino Group on Goodreads and we currently have three of them. 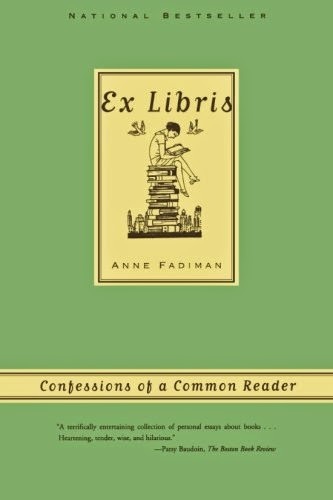 Ex Libris: Confessions of a Common Reader by Anne Fadiman is the 3rd traveling book, but the first one I've been fortunate to receive and read. It took me five days to finish the 162-page book, but I probably would have finished sooner if I really wanted to. This is a collection of essays and each one, to me, was relatable. So relate-able that I was compelled to write a response to the essay, or to the marginalia from previous readers. As you will see in this photo, readers before me have enriched the book with their comments. I followed suit and enjoyed the exercise. Truly enjoyed it. Ex Libris is a book about books and reflect much of how I feel about reading, and about my books. As for my own confession, there was a time that I was wont to be jealous or envious of the kind of books in Ms. Fadiman's library. I am not as acquainted to the classics as I would like to be, and much of the authors and great writers she mentioned I have never read. Does that mean she is a better book lover than me? Is she a better reader? I quickly corrected myself. As much as there are body image issues, it occurred to me that there may be, among book lovers, a book collection image issue. No matter what trash one might find in my library of books, if I choose to keep it in my library, then it means that in one way or another, that book struck a chord in me. So perhaps I should also rethink about my tendency to look at another's collection of books only to turn up my nose at all the Tagalog romance novels I see there. Just because I don't read those books means they are not good ones. Our home is overflowing with books. One thing that needs to be done is to curate our growing library. In the book, Fadiman wrote about the marriage of her library to her husband's. In my case, it won't be a difficult marriage. Alfred, my husband, is not as much a reader as I am. Still he has gathered a small collection of photography books and magazines, along with some graphic novels and short stories by Filipino writers. My parents are readers, but they have long learned to part with books they've already read. Perhaps it's all the moving we've done thru the years. Already on my wish-list of home improvements is to curate our book collection. List all the titles in every nook and cranny of our two-storey home. Categorize between keepers and non-keepers. Find the proper home for the keepers in the limited shelving available. As for the non-keepers, that is yet another project to undertake. List them for friends to freely choose from; sell them for a bit of profit; or leave them on the sidewalk; or build a little free library and put them on display. Non-keepers don't mean bad books, they're just not going to be part of our collection because we have to admit that we can't hold on to every book and magazine we buy.